The deficit of skills on job seekers’ resumes presents a major problem. Employers just aren’t seeing the types of skills they are looking for on resumes, which has led some to believe there is a skills gap, or a shortage of skilled workers in the job market. 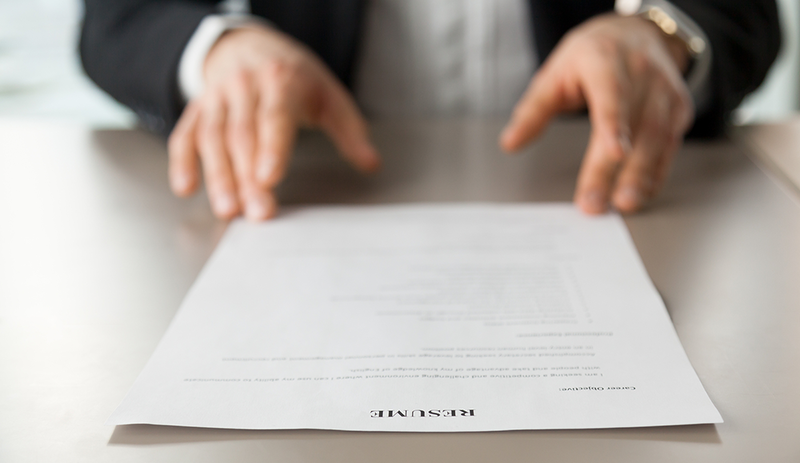 While the report found that these divergences between job ads and resumes don’t necessarily translate into a “skill gap,” the findings do indicate that job seekers could benefit from beefing up their resumes with more – and better articulated – skills. Recruiters spend an average of only about six seconds on a resume before deciding whether to interview a candidate. The first 15-20 words of your resume are the most important. That’s how many words the average person can read in six seconds, so it’s critical to put your most relevant skills at the top of your resume. Your personal summary is the section of your resume a recruiter is most likely to read. Include in this summary the critical skills requested in the job ad. Many employers use applicant tracking systems (ATS) to weed out unqualified candidates. These rely on keywords pulled directly from job descriptions. The last point is critical to remember, especially for the 54 percent of job seekers who do not customize their resumes for each job. On the flip side, those job seekers who do customize their resumes have an edge over the competition, as it is more likely their resumes will make it through the ATS. First, read the job ad carefully. Pull out all of the skills the ad mentions. Next, make a list of the skills that you possess. Use the exact same language as the job ad, wherever possible. Since most ATSs can’t interpret nuance in language, changing how you word your skills even slightly could cause you to be eliminated. For example, an ATS looking for “project management experience” won’t recognize that “experienced project manager” means the same thing. That’s why it is important to mimic exactly the job ad’s language. Find the overlap between the skills listed in the ad and the skills you have. List these skills prominently in the “skills” section of your resume and throughout your work experience. Be sure to list soft skills on your resume, even if the job ad doesn’t call for them specifically. LiveCareer’s report found that soft skills like “communication” and “customer service” rank highly with employers, even in roles that aren’t typically associated with these skills. Finally, use the same language in your accompanying cover letter. Though ATSs often do not scan these documents, recruiters do. Make that precious real estate count.